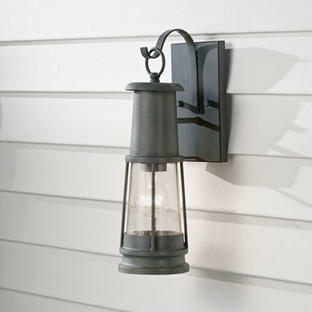 Sharp, contemporary, but art deco styled outdoor hanging lantern for porches or entrances. 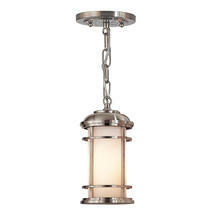 The Lighthouse outdoor lighting collection by Feiss is versatile with a nautical art deco but contemporary feel. The lanterns are meticulously crafted from die-cast zinc with a solid brass cage with a brushed steel finish. 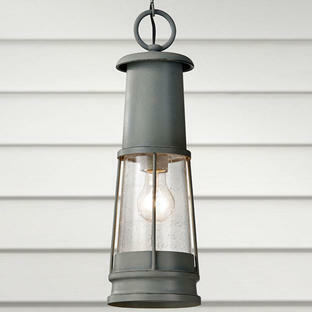 The triple plating and powder coated lacquer assures its weather resistance and lasting beauty. 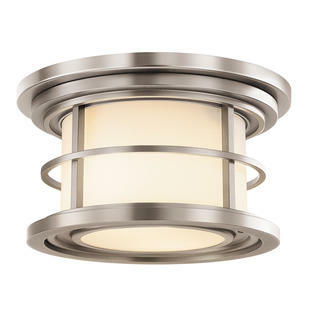 There is also wall lanterns and ceiling flush lantern in the lighthouse collection.